Recommendations: Recommended for all travelers ≥9 months of age except as mentioned below. 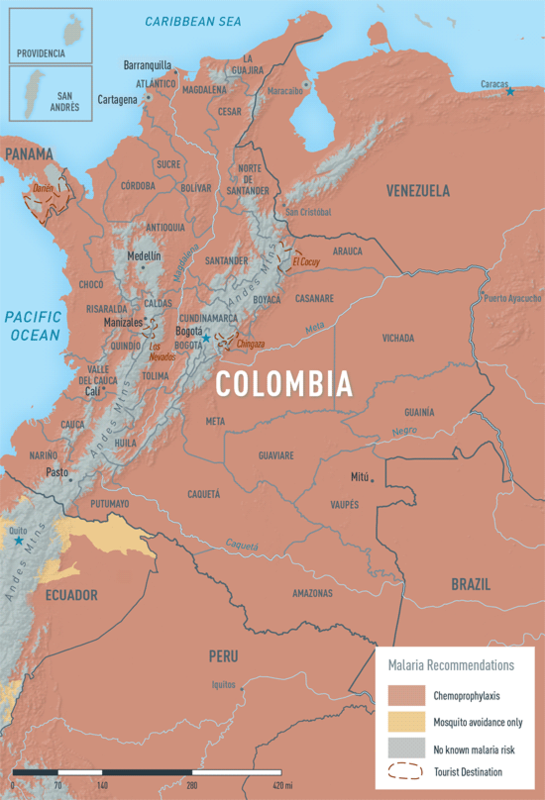 Generally not recommended for travelers to the cities of Barranquilla, Cali, Cartagena, and Medellín (see Map 3-23). 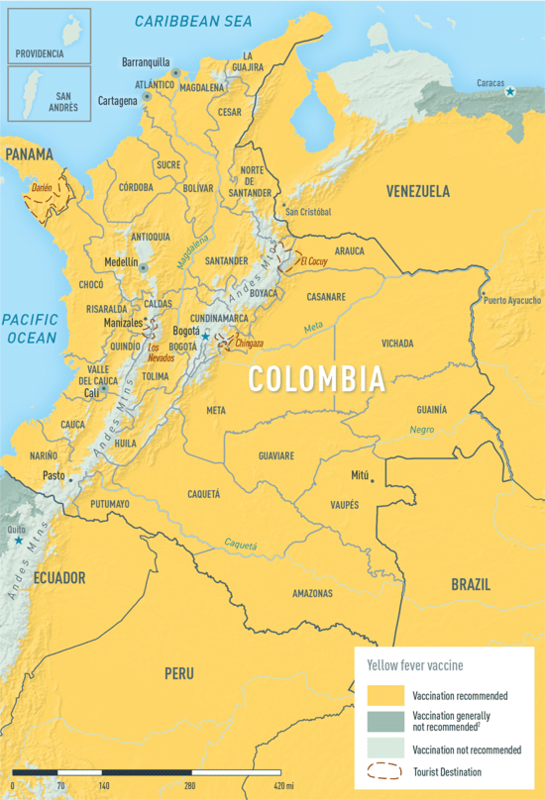 Not recommended for travelers whose itineraries are limited to all areas >2,300 m (7,546 ft) in elevation, the department of San Andrès y Providencia, and the capital city of Bogotá. Areas with malaria: All areas <1,700 m (5,577 ft). None in Bogotá, Cartagena, and Medellin. (See Map 3-24).